Carnival in Rio de Janeiro is a huge celebration that can be lived and enjoyed in various ways, and many places. Not just at the Escola de Samba Parade at the Sambadrome but also out in the streets with the people and the music. In whichever neighborhood you are, there will be a bloco or a banda to engage and have fun. By far the oldest, most widely enjoyed and of course- cheapest form of Carnival. 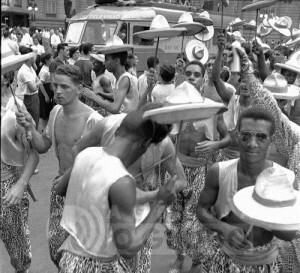 The coming together of people, coming fromthe fun, loving carioca soul – some in elaborate costumes, some not – to dance, parade and party through the streets. Rio offers a selection of Carnival balls you really cannot miss. A ticket to most Carnival balls will cost you around 40.00 USD to 1800.00 USD. Costumes are not mandatory, with the exception of a few balls. Putting on something special will help you get in the right mood, though coming with a group, you can reserve a table, or even a box. A true Carnival Ball features live music. It’s usually 2 bands taking turns, and sometimes there is a guest vocalist. Samba percussion is supposed to be very loud. Bring earplugs, if you have sensitive ears. Balls usually don’t start until 11pm and go strong until sunrise. There are a big variety of balls for all tastes: Gala Balls, Balls for singles Gay balls etc. Most of the balls are quite informal affairs, open to the middle and upper-middle classes of Rio (popular balls, cheaper, wilder and potentially dangerous are also readily available, please make sure you select well your ball, by asking us). Recommended only for Adults. Rio also offers Popular Balls which are promoted by Rio`s Town Hall and FREE! Live music taking turns with a DJ and the drummers of one of the best Rio samba schools. 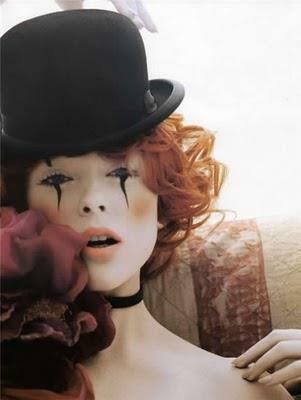 Dress formal or wear a fancy-dress. The most glamorous party in Rio. Its magnificent salons are decorated in a different theme every year. This is where the cream of Rio de Janeiro society and the city’s celebrity can be seen. It starts at 11.00PM. Men and women dressed in black tie dance the night away to the sounds of a live band, in the breathtaking Golden Room. A traditional Carnival buffet is served and the party lasts until the wee hours. 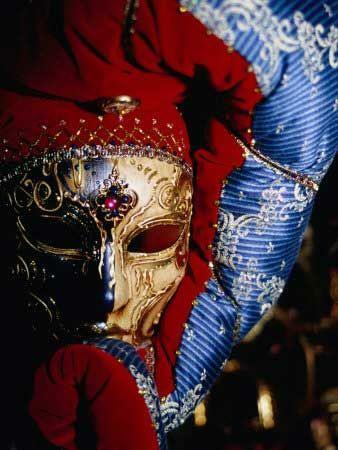 The ball has a different theme every year, and is where the most beautiful costumes can be seen. Gala dress – black tie or costume – is required for the Copa’s ball. Address: Copacabana Palace Hotel – Av. Atlântica, 1.702 Copacabana. This is probably the most famous night in the series. A truly exotic collection of characters take to the two floors and a grand entrance is de rigueur. The ball is broadcast to the whole of Brazil. It attracts a flamboyant crowd with lots of drag queens and their admirers. It is very popular with all folks not only gay boys and girls. Mangueira Ball – The traditional Mangueira samba school’s rhythm plays during the ball. Beija-Flor Ball – The traditional Beija-flor samba school’s rhythm plays during the ball. Salgueiro Ball – The traditional Salgueiro samba school’s rhythm plays during the ball. Red and Black – (the “Red and Black Ball”) has developed a particular reputation as a no-holds-barred affair. Named after the colors of Rio’s favorite football team, Flamengo, it’s a media event with TV cameras scanning the crowds for famous faces. Wonderful City – It is a tribute to the wonderful Rio de Janeiro city. Scala Gala – Famous people can be seen here. Galera or Radio Ball – Hip hop and other kind of music mix with samba. Gala Gay – A fun event is the straight-friendly Scala Gay Costume Ball which stars exotic costumes, characters and grand entrances. People wear something colorful and fun. Address: Scala – Av. Afrânio de Melo Franco 296. Leblon. From Carnival Saturday to Tuesday, open-air dances take place throughout the city. The emphasis is on joy and spontaneity. The biggest and most organized one is on Cinelândia Square. Apart from organized street dances, people also simply gather outside little corner bars, booze away and have fun in the street. 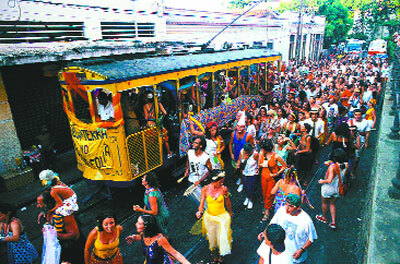 The place which attracts the biggest crowd is outside the Sambadrome, on Samba Parade days. The open-air party lasts for five days to the sounds of acclaimed orchestras and singers. These are symbols of carnival music, reviving the atmosphere of the grand carnival balls of the past. There is a stage on the square with idols and the most well-known singers of the times of early radio (from the 40-60s) – good, old Brazilian-Rio music, mainly samba. 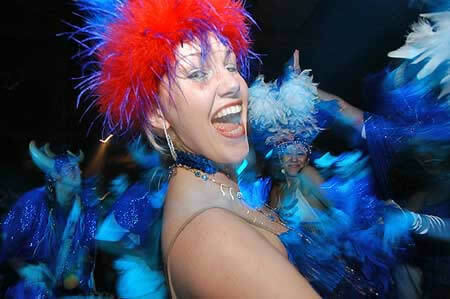 Pick your fancy dress and get the Carnival spirit, parading in a dream that’s real! Backed by the Rio de Janeiro Mayor’s Office which built Brazil’s largest art and entertainment complex the Samba Schools are proud to present the making-of the greatest show on earth. Located in the Rio Docklands, “Cidade do Samba” clusters together the costumes workshops and float production centers of the largest Samba Schools in Brazil. 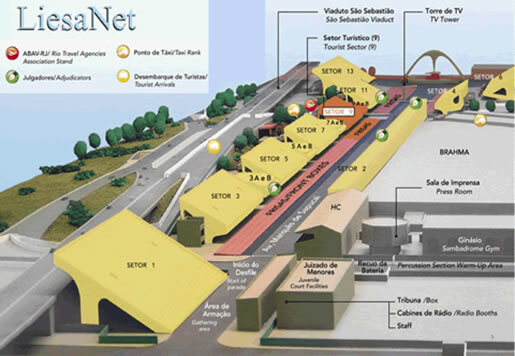 This entertainment complex is planned to offer visitors all the grassroots charm and excitement of Carnival throughout the year, enjoying the magic of the festivities that make Rio de Janeiro the world’s party capital. The success with the show “Citizen Samba” last year boosted an even more elaborate presentation, carefully prepared by the choreographer Carlinhos de Jesus (design, art direction and script), the Carnaval designer Milton Cunha (Atelier and set design direction) and conductor Jorge Cardoso (musical direction).The spectacle is a work of LIESA and the Rio city hall, with encouragement of the Federal Law Rouanet for the private support to Culture. This made possible a technical upgrade, with more investments in lighting, sound, set design and costumes. Singers, percussionists, Samba dancers, Bahian ladies, highlights, flag-bearers and masters of ceremonies from Special Group Samba Schools comprise the cast. The spectacle counts 141 costumes and six stage sets, produced by instructors and students of art workshops of the Project “Armazém do Samba”, which aims to train new professionals for the Carnival industry, operating in Workshop 1, in Rio Samba City. Great names of Brazilian music (MPB) such as Chico Buarque, Tom Jobim, Ary Barroso, Ataulfo Alves, Geraldo Pereira and Jorge Ben Jor, among others were selected to compose the soundtrack. The final part of the show is dedicated to a pout-pourri of samba-songs, almost all featuring nature-related themes. To close the presentation, the artists invite the audience to take part on a parade along the ground that surrounds the 12 workshops, to the sound of the samba-song that gave Beija-Flor Samba School the Carnival bichampionship, in 2008: “Macapaba: Equinócio Solar, Viagens Fantásticas ao Meio do Mundo”. Wear whatever you prefer. There are no rules not even standards what to wear for the Samba Parade (bear in mind that Rio people go even to weddings and funerals in colorful bermudas). People and celebrities in the boxes will dress up, however. In the Grand Stand sectors, informal street style rules. Use very light clothing as it is usually hot throughout the night but wear darker colors so as not to get too dirty. A raincoat should be considered for the eventuality of a summer shower nevertheless if it rains, vendors will surely have them on sale in the Sambadrome. Be prepared that it is only fast food that is available in the Sambadrome. So we suggest having your dinner before setting off. You could take plastic containers with beverages and some food such as sandwiches and fruits. Objects made of polystyrene, bottles, glasses, firecrackers and fireworks are forbidden. Umbrellas are not a good idea, as they can easily get in the way of other people’s view of the Parade. As the show is extremely long and goes on until sunrise, some people take little mattresses and/or pillows to sit on and even have a nap on. You should take some toilet tissue as in the late hours it might run short in the bathrooms. Some people take binocular/theatre glasses. You can take any type of still camera or normal video cameras (however professional video cameras are not allowed) etc., it is totally safe inside the Sambadrome. But be warned – only show them after you already checked in and be careful with anything valuable outside. It goes uninterrupted all round the clock on Carnival days until 23.00 on Tuesday, at 10 minute intervals during the night. It is safe on Carnival days and leaves you very close to the Sambadrome when all other traffic comes to a still-stand. Even-numbered sectors: Get off at “PraçaOnze” station. Once outside the station, turn twice to your right and then walk straight ahead. For sectors 4 and 6, take RuaCarmoNeto and walk on to Av. Salvador de Sá. You will see the Sambadrome soon. Best to hail one on the street as there are many and you won´t have to wait when traffic times are unpredictable. Tell the driver in advance of your sector number. The taximeter or an agreement with the driver sets the price of the journey. There is a little extra tariff to leave the Sambadrome. Ask before getting in (and negotiate) but it should only set you back R$30-50 (app. US$20). There are 2 dedicated taxi companies which are exclusively serving the Sambadrome on Samba Parade days, they have a good fleet of cars. They cost a bit more than regular taxis (about R$60) but the advantage is that they will take you right inside your own sector. So what is the Carnival Parade about? The carnival of Rio de Janeiro and Sao Paulo is a huge competition between their “Escolas de Samba” (Samba Schools) to see who´s the best carnival school of the year. 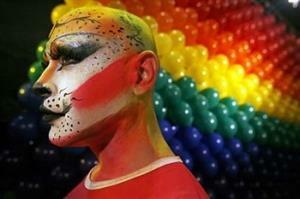 What goes on at Sambadrome during the four days of Carnival of Rio de Janeiro? The Special Schools and the A group, are the ones that actually parade during the 4 days of Carnival at the Sambadrome of Rio de Janeiro, (Group A, the first two days, and the Special Group in the last two days). The Escolas of Samba of other groups parade in other locations of the city in shows that are also worth watching during summer. How does a Samba School win? A group of 50 judges analyze the Escolas of Samba of Rio de Janeiro in up to 10 aspects to decide who gets the glory of winning the carnival and who gets thrown off the Special Group, so the preparation, competition, and climax is intense. The Winners and runners up will parade at the Winners Parade, the weekend after. Where can I watch the Events? You can buy tickets with us for specific Sectors of the public audience. 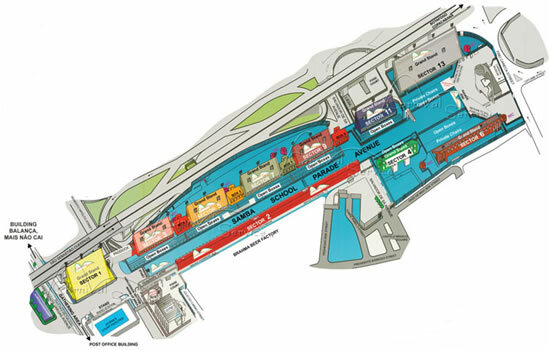 These sectors are either in VIP Boxes or on the arena. Can I parade at the Sambadrome during rehearsals or Carnival? Yes, you can actually parade in costume with an official Samba School. During summer, the Samba Schools rehearse all around the City of Rio. Also known as the Champion’s Parade, the Winners’ Parade takes place on the Saturday following Carnival held again in the Sambadrome. The winner and 5 runners-up from the Special Group make part of the Winners’ Parade the Saturday after Carnival, this year. If you spent your carnival on a resort near Rio, in Salvador or are arriving in Rio right after Carnival, go and watch the Winners’ Parade. Because there is no competition, some say it’s the funniest, lightest parade on Carnival, with people dancing the samba celebrating to be among the bests 5 schools, in a natural swing, dancing the true and beautiful samba. “Momo” is the name of the god of mockery in the Greek mythology, and according to Carnival tradition, King Momo should be jolly and as big as a house. Legend suggests that he was kicked out from Olympus to come and settle down in Rio, the City of Carnival. The Rio Carnival officially opens with the delivery of the key of the city to King Momo. When King Momo sambas, everything and everyone – sequins, feathers, flesh and all people around should also samba with him. He opens all major Carnival events including the Samba Parades. The Queen of Carnival is chosen by a contest based on her beauty, self-assurance, sociability, ease of expression, congeniality and samba abilities but all in all she must have the “carnival spirit”. The 2nd and the 3rd place candidates in the contest are named the Princesses of Carnival. He is responsible for the artistic work of designing, producing and directing the school’s parade. Sometimes they chose and write the schools’ theme of the year, too. They design every costume and float, choose and supervise the purchasing of materials, administer the construction and manufacturing of floats, costumes, and accessories. They can earn a lot of money in a top school. 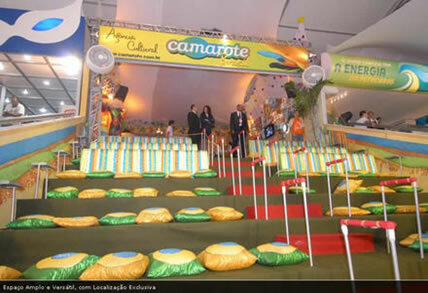 The names of the top carnival designers are as well known in Rio as the names of top film directors. They have their own idiosyncratic style, some being known for being very futuristic (Salgueiro), baroque/rococo (Imperatriz, Mangueira), or have a special preference for a particular topic (like Beija-Flor´s for anything native Brazilian-Indian). She is carrying and presenting the school’s flag, as the symbol of the School, while the couple is dancing down the Avenue. He is there to protect her (originally he had a knife to make sure that the other schools are not damaging the flag, making them loose the competition). Their dance is the most elaborate and elegant. The schools have more than one couple of flag bearers but only the front one (in front of the drummer group) is important and gains scores. This is the beating heart of the School comprised of 250-350 percussionists, mainly drummers. It lends energy and life to the whole parade. This is a community wing, thus the costumes are paid for by the school. The Head of the Drummer Group chooses who is going to play in the group via continuous auditions at rehearsals many months before Carnival. The group’s costumes that reflect the themes are sometimes so big that it’s hard to play. There are overhead mikes carried alongside the group and a sound truck with the samba singers. Some are traditional ones, using the same elements for decades (like Mangueira, Portela, Imperio Serrano). In the 80s, Mocidade however brought along some new elements for their drummers in the rhythm they played. Inevitably, other schools (like Viradouro, Grande Rio, Porto da Pedra, Beija-Flor) started to use further innovation incorporating totally new genres (going as far as using funk and. high choreography). It seems to be very successful. They are the building blocks of a school’s parade – the school is split into several of them. A group of 20-100 people wearing the same costume and having the same purpose. The costume will illustrate a particular aspect of the school’s theme. Every wing has a president who is drummer group is important an can gain scores. This is a well-known male lead vocalist who is accompanied by many others. They are usually on top of the sound truck right behind the percussionists or they march along the samba run-way. Each float and each wing has a number of dedicated stewards to ensure that the flow is kept up. They will wear the T shirt of their wing or float. There are penalty points if the school takes too long to parade. Points are also lost in the Rio Samba Parade if there are any gaps between or inside the wings. This is a beautiful female samba dancer standing in front while introducing the Percussionists to the crowd. She is supposed to motivate and inspire the hundreds of male drummers behind her. A small wing of the finest samba dancers of the school is no more than 15-20. It’s very hard to dance the samba at Rio´s speed whilst moving forward at near walking pace for 700m (1/2 mile). These samba dancers are a star turn. They are chosen through competition each year and it is certainly high honor to take this role. Older women dressed in glitzy variations of the traditional costume of Bahia state, with huge skirts having tubes inserted inside so that they lend themselves for some beautiful swirling. Swirling down the Avenue, they represent the soul of the samba schools, their African roots. 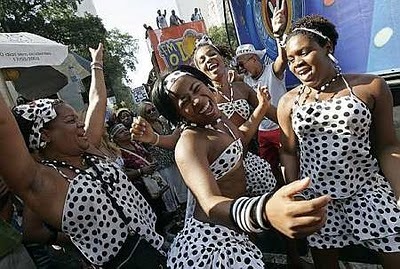 They are old ladies of the community, who have already been with the same School for many years like the samba dancers. This is an absolute honor and the samba school pays for their costumes. They are much respected and often get a round of applause when passing by. This is the opening wing of a school. A group of 12-15 dancers with a highly choreographed routine, who parade at the front of the school, “introducing” it to the crowd. Attending the Samba Schools parades at the Sambadrome, Rio’s official parading venue, is a unique experience. Samba Schools are the very essence of Rio’s Carnival. And being at the right place at the right time makes the whole difference. That’s why it’s so important that you buy THE TICKET THAT SUITS YOU BEST. We do our most to help you make this decision with confidence and security. Before BUYING your ticket we suggest you get acquainted with the various options of parades, locations and seats. Through an easy-to-read text filled with self-explanatory illustrations we disclose the major highlights and pitfalls of the various seating spots. We are the only ones on the web to offer this detailed explanation, because we do care for your satisfaction. After all, tickets are hard to get and exchanging them might be a laborious task, or even an impossible one, if too close to the parades dates. So, we consider it our obligation to provide all the information you need to choose your tickets carefully. The first decision you have to make is to which parades to attend. Next we suggest you choose the location on the avenue from which to watch the parades and finally the type of seat that suits you best. Costumes are still available, so let your dream come true! We offer you the unique opportunity of parading with a top School (belonging to the special group or group A) dressed up in a genuine costume! We have partnership with Schools which allow non-members to wear their exclusive costumes and parade with them. Chose how you want to participate, walking exclusively, in a group, on the truck/car or if your physique allows you, parade on the high part of the truck, exclusively and in the center of all! Samba Schools are split into several “wings” (alas, in Portuguese) when they parade along the avenue. In each wing School members wear specific costumes, all of them designed in accordance with the School theme of the year. Therefore costumes change from School to School, from wing to wing and from year to year. But each School is always responsible for the design and manufacturing of its several costumes. We refer to Schools who allow non-members to parade wearing their exclusive costumes as host Schools. As soon as the Schools make their songs available (samba-enredo, in Portuguese) we’ll also do so on the site, to help you practice in advance. Enclosed with your costume you’ll find further information about the warm up. You can buy your costume through our site and pay for it with PayPal or CreditCard. As soon as the purchase process is concluded, we’ll send you an e-mail requesting your measures (waist, collar, etc), preferably in centimeters time prior to the parade. You will have an unforgettable time: we guarantee! All costumes are handmade by local craftspeople who are members of the Schools and take the utmost care and zeal in their confection. Therefore, choose your model carefully: we can only afford to give you a maximum of 48 hours after your purchase to alter or cancel your order. The Sambadrome is the “stadium” of samba. It consists of a Parading Avenue (the samba run-way) and several independent concrete structures for the spectators along both sides of the Avenue. The Sambadrome was designed by Brazil’s world-famous architect, the modernist Oscar Niemeyer. It had been purposely built for the Samba Parade and was inaugurated in 1984.
is the highlight of the Rio Carnival. The must-see show which has made Rio de Janeiro the Carnival capital of the world. All the Carnival world revolves around these two nights. The schools belonging to this group are especially magnificent and sumptuous.The two nights are similar in terms of set-up. 6 of the best 12 samba schools march on both Sunday and Monday. Choose the one which best fits into your schedule. Doors open at 17:00, opening ceremony at 20:00, parades start at 21:00. The 6 best samba schools of the Special Group, from Sunday and Monday, parade in all their splendor once more, with fireworks. (It is beautiful, however much quieter and cheaper than the principal competition days on Sunday and Monday. This is the second best parade). Saturday, starts at 21:00 – There are 12 large samba schools in this group, following the best 12 schools in the Special Group. The champion of this parade ascends to the Special Group. This is called the base group, from which the big schools originated. They are small, each school having approximately 1,500 participants. Nevertheless they also parade with much vigor to defend their status. (Rather go to the Champions´ Parade or Access Group). Friday, 19:00 (doors open at 17:00) – These are branches of the big samba schools, formed by children of each community. Their parade follows the procedure of the big schools. Most sectors (3, 4, 5, 7 and 11) have grand stand seats and have boxes in front. Sector 1 also has grand stand seats. It is in the area where the schools organize themselves for the Parade, but has poor viewpoints. Tickets for this sector are not sold but are given out by the schools. Sector 2 has covered suites on 3 floors (A, B and C-being on the top). Grand Stand Sector 4 has restricted views (you would not see the starting point). It has great atmosphere however with great acoustics, as it is right in front of the drummer’s niche. The boxes in front Sector 4 however offer excellent views of the whole Parade, Sector 6 and 13 have grand stand seats which are very cheap due to the fact that the viewing is poor. There are also private numbered chairs in front of these sectors. Sector 9 is the tourist sector which means that tickets for them are mainly sold abroad and are priced significantly higher and away from locals. Open Boxes (comfort and good location) Covered/ VIP Boxes (the best seats in Sambadrome: privacy, comfort and exclusive services!). To have a better Idea of the kinds of seats, how they are and where they stay, click on our Sambadrome map above. Grand stand seats (bleachers or “arquibancadas”) are on big concrete steps.There are no allocated seats within the sectors (with the exception of sector 9). You may choose how high you want your viewpoint. You can also move at any time to another part/level of your sector. To watch the Parade from a higher position will give a better idea of the schools as a group, and more perspective of the whole Parade. Moving closer, you can appreciate more of the costume details and the samba Parade. Most people stand up to dance, and here being so close to thousands of Brazilians, you will really experience what carnival actually means to them. Allocated/numbered seats are either in boxes or there are numbered chairs. All seats in sector 9 (the tourist sector) are also numbered. The numbered chairs are right on the samba run-way at Apotheosis Square, placed on steps for better viewing, in front of sectors 6 and 13. All of them are allocated and only the person with the right ticket can take them. Back Stalls seats have the specification of being row A/D, which means that your seat will be from 1st to 4th row. It’s important to say that we can only guarantee the maximum of 4 seats together, and that the purchase of this kind of ticket doesn’t guarantee the seat in 1st row (what doesn’t mean that it cannot occur). This is the best place to watch and enjoy freely the Sambadrome Parade! They offer the best views, with another good thing: privacy! Each covered box has capacity for 24, 48 or more people and these are the only seats that offer exclusive services, like: buffet, open bar, drinks, shows of samba dancers and musicians, gifts, Tv`s, freezer, barman, security and air-conditioning. We offer tickets for covered boxes only in sector 2, and the price includes round trip transfer services. Sun, sea and party is the theme for this lively Rio de Janeiro Carnival Package. Combine relaxation and excitement with Rio´s light beach sambaring and its most exclusive fancy dress balls. We recommend a minimum of 5 nights to make the most of this trip. We customize this package to include the parties and tours of your preference. Private transfers with English speaking guide (or language of your preference) included. You will attend The Magic Ball – THE most glamorous party in Rio. This is probably also the most coveted in the country by the so-called high society. This is where the rich and famous can be seen. A live band plays in the Golden Room. A traditional carnival buffet is served and the party lasts until the morning. Experience the vibrant atmosphere of the street blocos and join the party drumming away in colourful costumes. No other music style is more “Brazilian” than samba, and no other samba is more authentic than a “samba school”. Visit one these “escolas de samba” as they open their dance floors for “rehearsals” (a combination of a party and a pep rally), in preparation for the coming Carnival. The percussion and the animated crowd will have you moving your feet in no time. Your private driver will pick you up at your hotel in the evening and lead you to a typical buffet restaurant for a non-stop feast of Brazilian meats, salads, vegetables and drinks. You will then attend a breathtaking samba show. Your private driver will take you back to your hotel when you ask for it, exhausted by hours dancing. Discover the beaches of Copacabana, Ipanema, Leblon to name a few, visit the Corcovado – statue of Christ the Redeemer and admire the Metropolitan Cathedral. Many other monuments are visited in this tour. A visit Santa Teresa, the bohemian and artist district is also included in this package. Visit the historical center of Rio, which houses an impressive complex of colonial Baroque architecture, including the Royal Palace, the National Historical Museum, the Candelaria Church and the Municipal Theatre, a two-thirds replica of the Paris Opera inaugurated in 1909. Pick-up in convertible Jeeps at the hotel. Visit Tijuca Atlantic Forest, (the largest urban forest in the world) stopping at the Chinese View belvedere with a magnificent view of the Ipanema and Copacabana beaches, the Guanabara Bay and the Sugar Loaf. Inside the forest, stop at a beautiful waterfall for a refreshing bath and walk through a trail of easy tracking. During the tour, usually we can see tropical animals like monkeys, sloths and exotic birds. On the way back to the hotel, stop at the Pepino Beach to watch the hang gliders. Visit the Rocinha slum, the largest slum in South America with around 150 thousand inhabitants, where you can watch the routine of this community. Paragliding Tandem Flights take place in Pedra Bonita, a beautiful mountain located in São Conrado, just 20 minutes from Copacabana. No previous experience is required since the instructor takes control of the whole flight while you`ll be experiencing one of the greatest adventures of your life. The flight is 15 to 20 minutes long, depending on the wind conditions. For your safety, we work with the best pilots, who have over 15 years of experience and are certified by the Brazilian Hang Gliding Association. Make your dream of flying come true. There are a variety of museums in Rio to cater for all interests. Let our specialized guides, some of them artists themselves, take you to insider places. A wide range of art and culture expects you. The Chácara do Céu in Santa Teresa, the Museum of Modern Art, National History Museum, Edson Carneiro Folklore Museum, the Museum of Fine Art, and the Banco do Brasil Exhibition Centre are just a few worth mentioning. Then visit Santa Teresa, famous for its winding, narrow streets which are the favorite spot for artists and tourists. At the end of the 19th and early 20th century it was an upper class borough built by the British who sought the region due to the mild climate, as testified by its magnificent mansions, many of which are still standing. The Botanical Garden was first established by Dom João in 1808. More than 6,200 varieties of plants are spread over 141 hectares. On weekends, you will see many families, but on weekdays it is really quiet and peaceful. You will also visit the Catacumba Park which features sculptures by internationally renowned visual artists. Besides viewing these works of art, visitors can venture into a 20-minute walk along a 350 meter trail to an observatory where the view is simply fabulous. This is the ultimate way of looking at Rio’s breathtaking beauty. Don’t hesitate and join us in this fabulous trip. It can be combined with most of the other tours offered. Let us look at your itinerary and suggest one of the different Helipads for takeoff. Helipads: / Christ / Lagoon / Ipanema / Copacabana / Sugar Loaf. Your private driver will pick you up at your hotel in the evening and take you to the heliport from where you will take off. You will experience the breathtaking Rio de Janeiro sky view. The Tijuca National Park is the world’s largest urban forest planted by the hands of man, covering some 32 km². It is home to hundreds of species of plants and wildlife, many threatened by extinction. The Tijuca Forest is an important recreational area with trails and privileged spaces for sports, cycling, running and mountaineering. It features squares with toys for children, placeholders for barbecues, family get togethers and community restaurants. You will discover the Tijuca Forest before going to the Serra da Carioca and Pedra Bonita / Pedra da Gávea. This tour also includes the visit of Pretos Forros/Covanca. Do not miss this natural beauty of Rio. Contact with nature is constant and its beauty is bewildering! Enjoy the incredible view of Rio de Janeiro City from the famous Guanabara Bay.